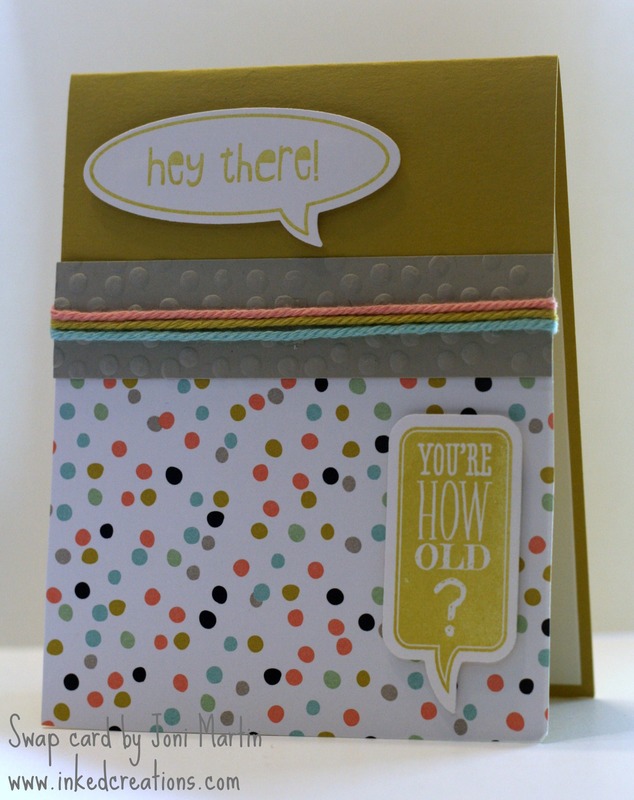 This birthday card was created by one of my stamping friends Joni Martin. What a fun way to wish someone Happy Birthday! Bundle it! I love that Stampin’ Up! now offers you savings when you purchase products together. So save yourself the time and cash by purchasing the Just Sayin’ Clear or Wood Mount Bundle. Color Coordination. Stampin’ Up! does all the work for you by color coordinating their products! The colors for this card were pulled from the Sweet Sorbet Designer Series Paper. Embossing can really add to your card. Use the Big Shot Embossing Machine or the new Textured Boutique Machine and the Decorative Dots Embossing Folder to create some texture on your card front.